The assignment: Write a scouting report on Shohei Otani. Paint a very clear picture of Otani’s pitching repertoire – including pitch grades and major league comparisons. And that’s just on the mound; gather similar information about his hitting (and perhaps even fielding) capabilities. The reality: I haven’t seen Otani pitch or hit, other than on highlight videos. The solution: Reach out directly to those who have. What is the right-hander’s arsenal? What kind of power does the left-handed batter possess? Can Otani be a two-way player in the majors? Over the past month, I spoke with five high-level officials with international scouting-related positions who work for MLB clubs – promising all of them anonymity – to talk about Otani, the 2016 Pacific League MVP. I vowed there would be no tipping off their identities; for example, you will not read a phrase even somewhat specific such as “a scout for an American League club” or “a scout with 15-plus years observing Japanese players.” Another parameter was established: money was not going to be part of our discussion. At the end of the day, those decisions are not made by the scouts; therefore, let’s just stick to a scouting report-related conversation. In return, I received their thoughts on the player. And the overall consensus: They haven’t seen a guy like Otani in all of their combined years of scouting. First, a reminder that Otani is working his way back onto the field after being sidelined by a muscle strain in his left thigh area – suffering the injury in an April 8 game against the Orix Buffaloes trying to beat out an infield single. That was his second notable medical malady this year. 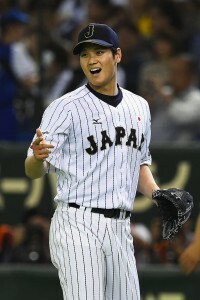 He did not pitch during the World Baseball Classic due to a right ankle injury suffered during last fall’s Japan Series – which was re-aggravated in November. 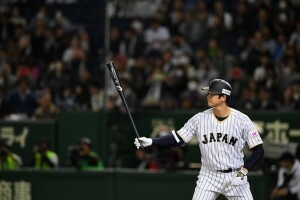 He did open this season as Nippon Ham’s designated hitter – batting .407 with two homers and five doubles in 32 plate appearances before suffering the thigh injury. When asked, none of the scouts was the least bit worried about the latest injury. “Everybody gets hurt at some point, so it doesn’t change anything for me,” one scout said. When he does return to active status, Otani is looking to build upon a stellar young career. In four seasons on the mound for the Fighters, he has gone 39-13 with a 2.49 ERA in 80 games (77 starts). He has thrown 517.2 professional innings, allowing 371 hits, 22 homers and 181 walks while striking out 595 batters. His career WHIP is 1.066, his career strikeout-to-walk ratio is 3.29-to-1, and he has averaged 10.3 strikeouts per 9.0 innings. In 21 games last season pitching for the Japan League champions, Otani was 10-4 with a 1.86 ERA – and fanned 174 batters in 140.0 innings. He allowed 89 hits and 45 walks, giving him his second consecutive sub-1.00 campaign for walks and hits per 9.0. The Fighters have been very judicious in the way they’ve handled Otani on the mound. His career high for games started is 24; his career high in innings pitched is 160.2. As a point of comparison, Yu Darvish pitched for Nippon Ham from 2005 (his age-18 season) through 2011 (his age-24 season). In his seven years with the club, Darvish threw 1,268.1 innings – surpassing the 200-innings mark four times. 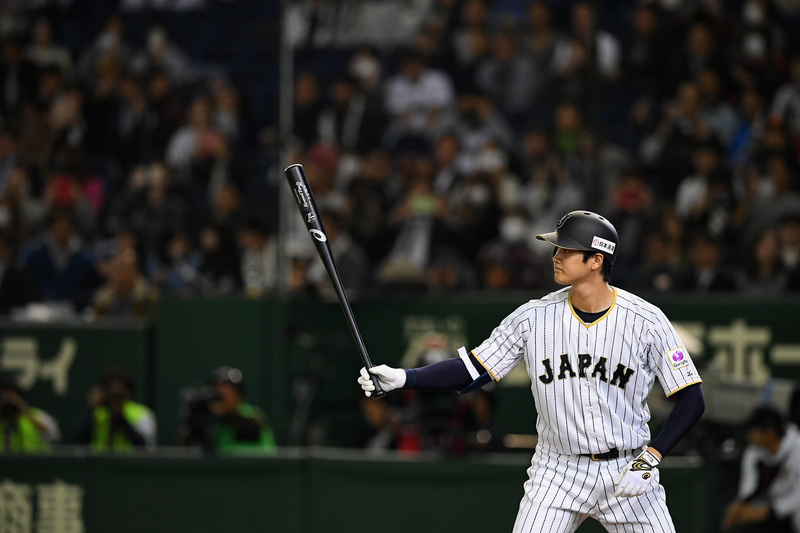 As for his offense … Otani had 382 plate appearances last season as Nippon Ham’s designated hitter and recorded a triple slash of .322/.416/.588 with 18 doubles, 22 homers and 67 RBI. If there is a red flag in his game, he did show swing-and-miss potential, fanning 98 times. In putting together a scouting report, the 20-80 scouting scale was used. A grade of 50 is considered major league average; a grade of 80 is as good as it gets. Some grades – such as fastball velocity or running home-to-first – are based on actual radar gun readings or stopwatches. But specific tools like command, control, movement and athleticism – among others – are subjectively based on what the scout sees now and projects what it can become. The present/future role grade is akin to the quick-and-dirty on a player. A lot of teams knock off the zero and use a 2-8 scale. After talking to the five scouts, the consensus was that Otani is a 6-7 – meaning a present grade of 6 (which translates to a No. 3 starter in the majors today) and a future grade of 7 (which is a No. 1-2 starter). For some scouts, putting a future 8 – a premium No. 1 starter – on a pitcher would take an act of Congress. Four of the five scouts dropped the name Yu Darvish into the conversation. Two scouts said Justin Verlander. One scout brought up a handful of names, both past and present. Across the board, the pitch graded out as a future 65 to 70. The velocities the scouts had ranged from the high-80s to 92-93. Otani’s slider is seen as a plus pitch. Two scouts have a 70 on the slider; the other three were a little more conservative at 55 or 60. The velocity readings were in the 82-87 MPH range. Two of the scouts have barely seen him throw the pitch; the other three have seen it enough to classify it as a 50 or 55. A subhead for this section should read: Do scouts for MLB teams think Otani can be a two-way player? For four out of five scouts, there was some hemming and hawing. They all like him as a batter – especially the left-handed power. They all love him as a pitcher. The fifth scout, though, is willing to dream. That scout said Otani’s a 6 as an offensive presence. “He’s going to be an above-average major league hitter with above-average power,” he said. That scout said if Otani wasn’t a pitcher, he’d have a future role 6 on him as a position player. There was agreement across the board that Otani’s future grade as a hitter was in the 45-to-50 range. “I think if he plays every day in the big leagues and he gets his at bats, he’d hit .260 to .275 with 20-to-25 homers,” said one scout. Another scout echoed that assessment. “He’s probably 45ish. I think he would hit in the .260s with 25-plus home runs,” he said. On the power scale, 20-homer potential is considered above average – a 55 grade – and 25 homers is a 60. Considering that Otani had 22 homers in only 382 plate appearances last season, it’s easy to see why the scouts all have higher grades in this category. Otani has been timed at 4.1 from home plate to first base; for a left-handed hitter, that’s 60 running speed. The consensus is … the point is moot. None of the scouts envision him seeing enough outfield action to merit a grade. Well with the way the rules are now, his market will be literally every MLB team. I imagine he will end up somewhere in the AL, but beyond that I dunno. I doubt any team would let him play the field so an AL team makes sense to me, if a team is really going to let him pitch and hit. Pinch hitter occasionally but never DH, no team would ever take the risk of him getting injured from not pitching or not getting enough rest while not pitching. Arguably, no team has ever had a pitcher that can hit like he apparently can. And what you’re failing to realize is that he has a TON of leverage when it comes to pitching/hitting. With no team being able to blow anyone else out of the water $-wise, many teams are going to need to find a unique sales pitch that works for him. If he’s dead set on doing both, someone will offer him the opportunity just for a chance to add that talent to the roster. And if that is the case, the AL makes much more sense so he can bat multiple times per week while still “resting” as the DH. Teams are starting to look at two way players a little different than in the past. With escalating salaries and the need to extend the pitching staff it certainly makes sense. Granted, no team has pulled the trigger on this yet but there are some interesting two way players coming up in the June draft. Babe Ruth wasn’t much of a pitcher. His numbers look good because it was the Dead-ball era and every pitcher had great numbers. You’ll notice that once they introduced the live ball Ruth never pitched again. Wasn’t it because he was to good of a hitter to pitch, along with him in his advancing age, and weight gain causing him to theoretically become not athletic enough to pitch? Ruth was an above average pitcher for his time, he just became a HOF hitter. He’s already said that he’s only coming to the states if the team is willing to let him hit and pitch. If not he will stay in Japan til he can come as a true FA. I have this sneaky feelings no the White Sox are going to get him and let him do both! Babe Ruth had a career ERA+ of 122 (100 is precisely league average). He was comfortably an above average pitcher for his career..
His 1916 season as a pitcher was brilliant. I’m not sure where you’re getting this “wasn’t much of a pitcher” tripe from. As much as I’d love to see him on the South Side, it’s not going to happen. In Ruth’s last season as a pitcher he walked twice as many batters as he struck out. It was clear his days on the mound were numbered. The fact that he became one of the best hitters of all time probably helped.. His 1916 season was pretty much the only season he was a great pitcher. He also threw 323 innings that year and never pitched more than 167 innings after, so I’m guessing he wrecked his arm in that 1916 season. Ruth to this day still holds records for lefty pitchers. There will never be another Babe. Babe Ruth was the second best pitcher in the American League in 1916, and this at the age of 21.! Walter Johnson was better, but he was 28 and had been doing it for a decade by then. And he was basically just as good in 1917, and – when he pitched – in 1918 and 1919, though he was pitching less and less by then. But that was because they saw the potential in his bat, not because he “wasn’t much of a pitcher”. Ruth essentially came out of high school and was one of the best pitchers in the American Association, and then went to the majors and became one of the best pitchers in MLB. He set a record for consecutive scoreless innings in the World Series that took almost half a century to break. It stood longer than his 60 HR record! That’s a bad guess. Go read his wikipedia page or something. Ruth was bored between starts and begged to play the field. The more he played, the more valuable as a hitter he became, so the less they used him as a pitcher. And this was before the end of the “dead ball” era. His 1917 season was worth 6.6 WAR. There are probably several Hall of Fame pitchers who never had a season as good as Ruth’s second best. So under the new agreement, I under he gets a max-agreement of around $11 million (or something like that), but if every team will be on him, which presumably they will be, will that leave it up to him to decide what opportunity is best for him? That’s the idea. Under the new agreement, Ohtani is basically going to get to pick which of the 30 teams he wants to go to and that will be that. In many ways, that just undercuts any chance most teams could have ever dreamt of having. 4) Winning teams/farm system over next 5 years or so. Max agreement would require substantial trade of ifa pool money. If everyone is truly in on him you’ll see that pool money freeze up and Ottani make closer to the 5M or 300K allotted. I think a smart team can REALLY take advantage of that… Obviously everybody wants him on their team, but you need to be realistic – he’s most likely not going to sign with a bottom feeder team. I’m not sure whose pools look like what, but just for example, let’s pretend that nobody is in the penalty to start next year. Say the Padres have the largest pool. I think we can all be pretty positive that he’s not going to sign with them unless they find a way to offer substantially more money than anyone else (not likely). Instead of trying to play that game, they could try to trade that pool money to a team that actually has a chance to get him for a legit prospect. I think they could play teams like the Cubs/Dodgers/Red Sox/Yankees off each other and end up with a very good prospect for that pool money. The opportunity for one of those teams actually in contention for Otani to offer him basically 2+ times the money than all the others could be a HUGE boost for them. Like I said, I’m not sure what all the pools look like and who is in the penalty and what not, but I think it’s definitely worth a thought for a lot of small-to-mid market GMs. This young man looks like the real deal. I really hope wherever he lands he can be something special…it’ll be great for the game. I just hope he can be the 2-way version of Mike Trout (really really good at everything he does) AND land with a franchise that won’t waste his talent. The Mets may actually be able to afford to sign a top int’l player. (Yeah..Ces..but that was after a trade and multiple years in the majors). I also worry about them wasting his talent bc they are too cheap to go all-in. They have the location down, but I’m not sure they have the reputation that I’d want as a star player. If they can turn it around this year…MAYBE…but there are just too many other good ideas out there: Yankees, Dodgers, Mariners, Giants, etc. I feel Ohtani should be a combination of reliever and DH. If he’s a SP, and pitches every week, I feel there’ll be more risk of injury (e.g. Tanaka and Darvish. Not sure about Maeda). Therefore by limiting his pitching duty as a reliever, he’ll still be a lights out pitcher who can pinch hit or be an everyday DH. So you want a team to pay $20 mil post fee and lord knows how many millions to sign and retain the kid just to turn him into a less valuable asset? Relievers are payed less because they are viewed as less then starters, mostly because almost all relievers are failed starters, so due to skill and some due to injury. I should probably say something along the lines of a swing man or long relief. I know $20m whatever the new rule amount is a lot for what I said, but is it worth having a SP that can be injury risk? Tanaka and Darvish didn’t really have a non-injury career in the MLB so far, so how would Ohtani handle the pressure? Tanaka, Darvish and Maeda were all fantastic pitchers in Japan. However, Darvish and Tanaka both landed on the DL regarding to torn UCL, and both missed (a minimum) half a season. Maeda has not had a UCL-related injury. Then in comes Ohtani, a player who can bat and pitch well=above average. MLB pitchers has less rest days than Japan, so if Ohtani pitches like a SP in MLB, then he has a higher chance of getting injuried, due to additional stress load. Now add that injury risk with his batting. If a pitcher bats and pitches more, he has a higher chance of getting injuried then a regular player. So what I’m saying is, have Ohtani be a swingman or long relief, so he doesn’t pressure his shoulder, like he would when he is a SP. The major con to my idea is….well, you’re spending $20+ million on the guy. that’s nice but relief and hitting combined isn’t worth as much as an ace. he should start and if that fails maybe the bullpen. Hoping he doesn’t get injuried then. Yeah, if his pitching ceiling is Justin Verlander and his hitting ceiling is Curtis Granderson, teams are going to view him as a pitcher. If he wants to DH too, they’ll let him do it, because they’ll have to promise that to sign him, but really, it’s barely worth it if he gets swinging or baserunning injuries that compromise his ability to be an ace. Nothing that we do intentionally should interfere that much with reading the article. Can you send a screenshot in through the contact form so we can take a look? I’m in the same boat. It’s this one pop up that says I won some contest. Sorry about that. Would be helpful if someone could take a screenshot and email it through the contact form on the MLBTR site … it would make it a lot easier to track down the problem ad. Are we talking about the Trade Rumors app? Or the regular website while on a mobile device? I get the ads on both the app and the site itself. Not often so its not a huge bother, but next time i get one i will send you a screenshot. Nice research and write-up, Chuck. Timely too, as Shohei Otani could be the biggest international signing for the next several years, with Luis Robert now signed and the new rules coming into effect. It’s also refreshing to read just about the baseball-player stuff and not the market/dollar aspects. That part will play out separately. I liked finding out what’s “under the hood”. Thanks for doing this piece, MLBTR. First, I want to say, the team that I root for is not the Rockies, but I would love to see him sign there and be the first guy to truly figure that place out, plus the potential 80 power he has to offer in Denver…..
Second, what kind of loopholes under this CBA could teams structure so that teams that are under penalty could potentially sign him? One of my thoughts were that a team under penalty could offer him the 300k on a 1 year basis so that he immediately hits free agency the following year and cashes in with no restrictions. I would imagine if that were the case, we would have seen teams exploit that loophole already. Not really the new rule doesn’t go into effect until the new signing period. So needing to exploit loopholes in terms of Japanese players has never been necessary. I was referring to the restrictions for teams that can sign players to the 300k max. Who’s to say, for example, that the Cubs wouldn’t go to Luis Robert and offer him the minimum while promising an mega extension. There’s a significant difference in those players. Ottani would debut in the majors next year, while Roberts is rumored to start in A. Ottani would also probably would get 150M , on top of the posting fee, on the open market. I get what you are getting at, but at this moment these are completely different types of classes or players, not to disparage Roberts. You are comparing a 19 year old and a vet who has performed and stared in the highest international competition available. Teams would be willing to take risks for a player if they believe him to be a once in a generation type player. If you’re going to stick it to the MLB you better hope he has generational type talent, because that’s going to come with the scrutiny and watchful eye of the MLB. Ottani is an exception in many ways. This is going to be a major exception in which the MLB back themselves into a corner. Since the discussion of this rule there has never been a player in the light of Ottani. So this would be the player most teams would be willing to, if they financially can, exploit the loopholes. I understand and acknowledge the difference in skill/ceiling/floor of each player. They are both referred to as players that would 100% break the non-penalty cap and by a large margin with no respect to how large of a margin. Robert is only the most recent example of a highly regarded prospect breaking that barrier and the team incurring a penalty. One could substitute Moncada or a more major league ready player like Abreu, albeit both signees were before the current (mostly unaffected in this manner) CBA. Other teams would immediately call bs on it. No he’ll only be able to sign a minor league deal at first. Then a team will exploit his loophole and sign him to an extension. That extension will probably include either major money or big money and a shorter control period. As he’s still young I think Seattle could be a good fit if they trade Cruz. He could replace Cruz at DH and could possibly be the ace if he’s given the chance to pitch and hit. That was really where I think he’ll end up. I think it’ll be a mix between Texas and Seattle. That is doubtful considering the restrictions placed on them. That’s all great, but can Otani throw the dreaded gyroball? If rangers can resign darvish, I think the rangers can land otani. He can learn from darvish, coming from Japan to MLB. Then the Dodgers,Mariners,and Yanks to name a few are in that boat. Going by your logic..just saying. But he actually knows Darvish. They worked out during the offseason. He also has ties to Tanaka and Maeda. Hmm, I wonder if he’s ever heard of a hitter named Ichiro? For those saying Cubs, the Cubs have a maximum allotment of $300,000 that they can spend on International free agents this offseason. That is less than the league minimum, so Otani would have to settle for a minor league deal if he were to choose the Cubs, which is not going to happen. He can only sign a minor deal regardless under the new rules. The MLB will never admit this, but one team is going to throw the middle finger its way and there will be an extension. Where in the new CBA does it dictate he can only sign a minor-league deal? it’s because of his age he’s considered an amateur signing i think? which doesn’t really make sense given the league he’s currently playing in tbh. The age restriction has now been changed to 25 meaning he can only sign a MiLB deal. It previously was 23 which is why their controversy. Has there been a Japanese player other than ichiro turn into a long term elite asset in the MLB? If there has, the odds are so low on landing one because they rarely work out that I wouldn’t go all in on any player from that league. I’ll never forget the one who was supposed to be the next Roger Clemens the Yankees grabbed back in the 90s. I mean, plenty have been productive big leaguers, ichiro is basically the only hall of famer. Darvish, Tanaka, Aoki, matsui, Kuroda, etc have been plenty good in the big leagues. Most of the pitchers have gotten hurt – Matsuzaka, Nomo, Darvish, Igawa, Hideki Irabu, Maeda came to the Dodgers on that incredibly team-friendly contract because, as one Dodger team official said, he had “the worst medical’s I’ve ever seen.” As far as the position players, most of them came over later in their careers – when they were already pushing 30, and most players are past their prime by 30. 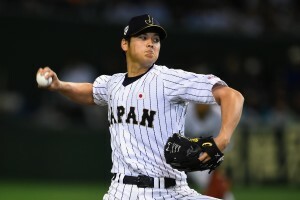 But the pitchers did seem to break at an alarming rate; the starting schedule in Japan is that pitchers only pitch once a week (there are six-man rotations and there are off-days once a week). Plus, the ball is smaller in Japan, which probably makes more of a difference to a pitcher than a position player. Hideo Nomo averaged 199 IP, 200K’s and a 3.85 ERA for 9 years right at the height of the steroid era. He wasn’t always awesome, but he never made fewer than 28 starts in that stretch. He dropped off quite a bit in his mid 30’s, but then a lot of pitchers do that. Hiroki Kuroda, despite being 33 when he reached the majors, only had one season in his 7 in MLB in which he made fewer than 31 starts, and never suffered a significant injury. He returned to Japan to be closer to home, not because he wasn’t good enough to keep pitching in MLB. Don’t stick your nuts out too far now, lol. I would like to see Otani make it as a pitcher and DH, I always thought there would be someone to do it. Many great high school pitchers are also great hitters. Babe Ruth obviously would have been the perfect player to do it. So the real question is, if you took the words “guy” and “stuff” out of the vocabulary of these scouts, would they be able to form a sentence? Welcome to the Chicago Cubs! Next year’s Mariners rotation: Felix-Paxton-Ohtani-Iwakuma-Miranda. He’s about the only pitcher I’d love for the brewers to go after. They will have a crap load of money available to spend for a potential extension. Unfortunately there aren’t too many positions that he could play in order to utilize his hitting abilities. I can only dream of that…as long as they don’t sign Arrieta.